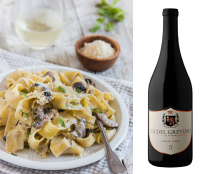 Grevino Riesling from Ca’ Del Grevino Estate Winery offers a harmonious blend of pure fruit flavor, heightened aromatics and balanced acidity. It is a perfect match to pair it with Turkey and Cranberry’s sauce at your Thanksgiving dinner. 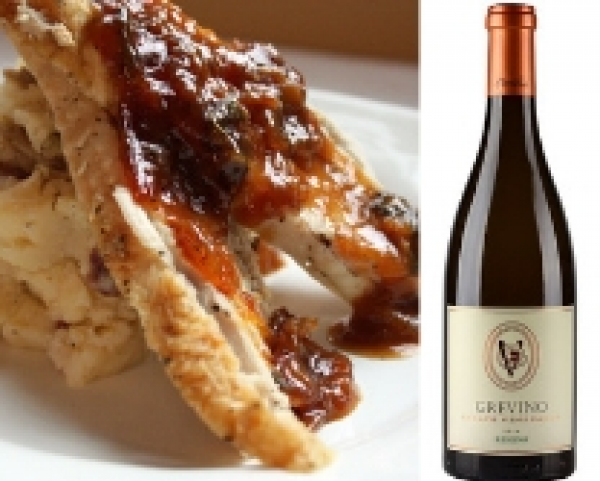 While you are enjoying the crispy roasted turkey with sweet sauce, you will feel our Grevino Riesling’s white jasmine aroma blossom in on your palate, and you will be instantly surprised by its off-dry character giving hints of honeysuckle, lime and sweet peach.